I recently picked up the new Rare Replay compilation that just came out on the Xbox One. It’s the third compilation game that I’ve grabbed on the console, after Halo: The Master Chief Collection and Borderlands: The Handsome Collection. Of the three, the latter two are definitely I think the better executed of the bunch. I’ve written plenty about how Master Chief Collection just falls flat in its delivery already so I won’t belabor the point here. Instead I want to talk about what makes the Rare Replay work so well. For starters, value is really important with these compilation games. Rare Replay shines here – there are 30 games celebrating the 30 years that Rare has been a company. That’s already a good start, but add in that the price is only $30 and that adds up to a really awesome value just from looking at it from the top down. But when you look at some of the games in the collection, that’s really where the value starts to show. 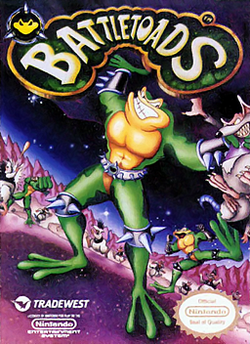 Banjo Kazooie, Banjo Tooie, Battletoads and Blast Corps are all classic games over the last 30 years that each would be easily worth more than the $1 dollar on the collection. The fact that there are some truly hidden gems on the collection (R.C. Pro Am, Sabrewulf, Conkers Bad Fur Day) just helps add even more to the value. But the reason why I think this collection and the Borderlands collection do so well, while Master Chief falls short is because they don’t rely on it all being in one place. Borderlands 2 and The Pre-Sequel are actually separate downloaded titles – Handsome Collection is just the only way to get them on the Xbox One right now. 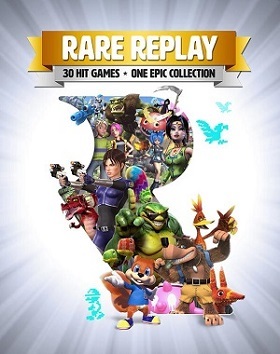 Rare Replay takes a similar approach – all the previous 360 titles are downloaded and launched separate from the main game, which has the older titles on it. That makes trouble shooting a whole lot easier, and I would have to think that coding it a hell of a lot simpler too. The big lesson that I think we can learn from Master Chief is that having multiple game engines running in one title can be terribly problematic. With Rare Replay the emulators are limited – an NES, Arcade, N64 and Original Xbox – each older consoles with more stable emulation. Pulling the 360 games out as separate entities helps keep it that way. It is easier to address any future issues with the emulation on the older games this way. The other thing that helps make Rare Replay special is the love behind the game. Master Chief came close – it really is an incredible collection of the Chief’s adventures so far, and does feel like a love letter to his story. But Rare Replay takes it even farther – with behind the scenes videos detailing the studios history, to go along with specific ones on games. There’s a lot more bonus content with this beyond the 30 games than in either of the other two collections. Add in to that the fact that Rare has always been a very unique studio, doing things their way, and it just feels right. In the end, even if there is only a couple games you’re interested in here, you really should pick it up. The value is awesome, the games play great, and there’s some legitimate gaming history here.